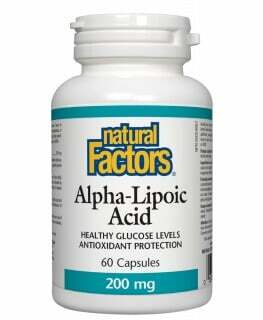 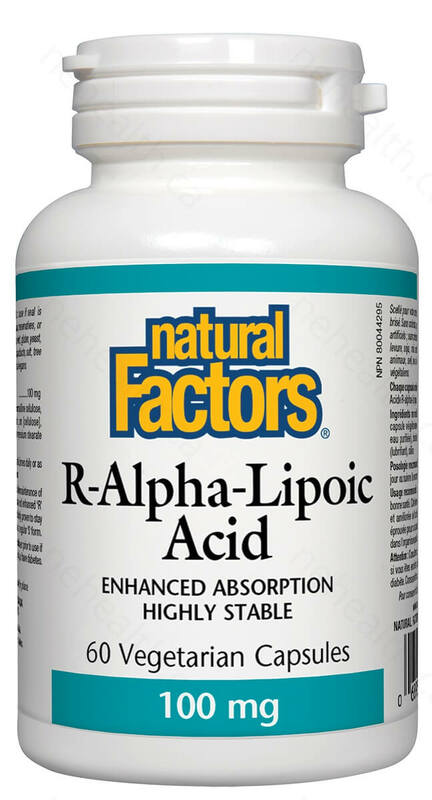 R-alpha-lipoic acid is a naturally occurring antioxidant which uniquely neutralizes damaging free radicals in all parts of the cell and boosts antioxidant defences by regenerating other antioxidants. 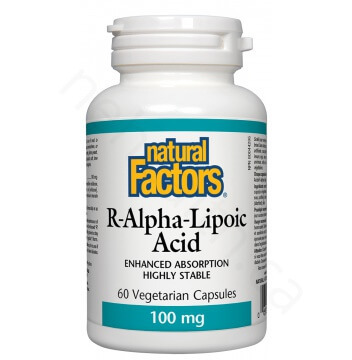 The powerful antioxidant and regulating functions of alpha-lipoic acid make it an ideal supplement to improve health and protect against chronic disease and aging. 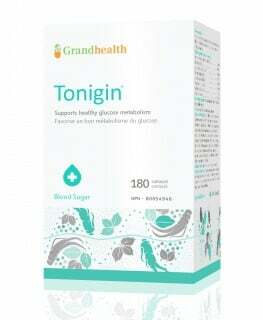 Microcrystalline cellulose, vegetarian capsule (carbohydrate gum [cellulose], purified water), silica, vegetable grade magnesium stearate (lubricant). 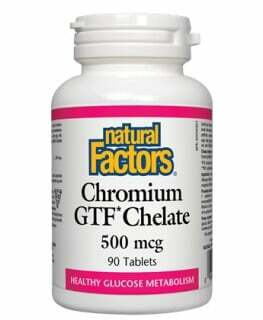 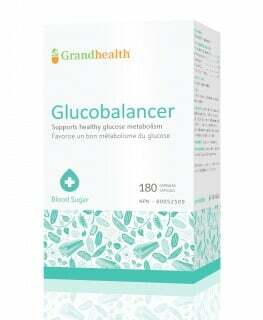 1 capsule 2 times daily or as directed by a healthcare practitioner. 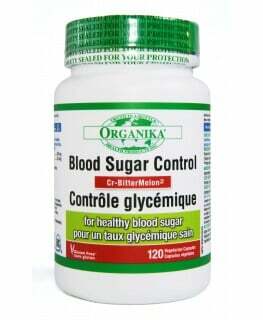 Cautions: consult a healthcare practitioner prior to use if you are pregnant or breastfeeding, or if you have diabetes.